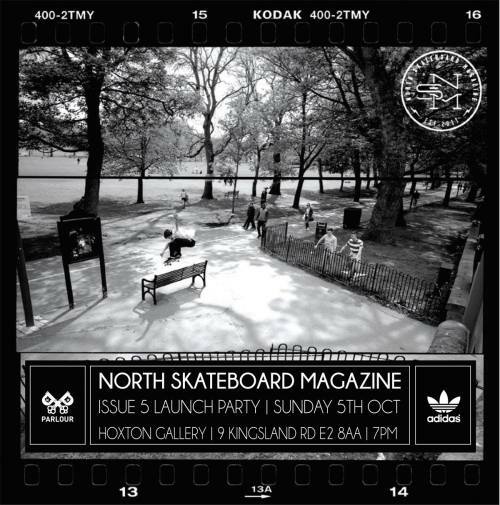 NORTH SKATEBOARD MAGAZINE | ISSUE 5 LONDON LAUNCH | SUNDAY 5TH OCTOBER 7PM - LATE | HOXTON GALLERY E2 8AA. Come join us for a special show of prints, Dj’s and drinks. Paddy Jones & Curtis Pearl at Mile End for YARDSALE.